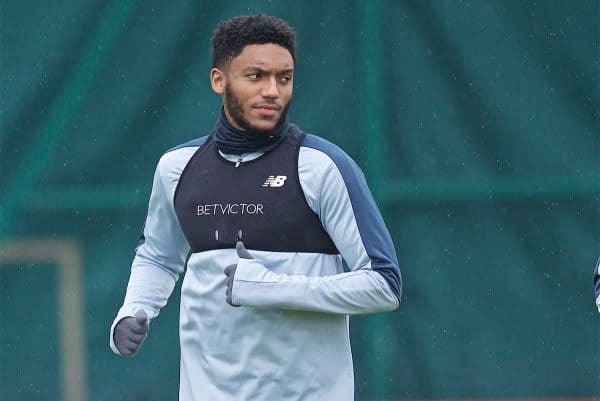 Jurgen Klopp has welcomed Joe Gomez back as “an option” for Liverpool, which will be a benefit as Dejan Lovren misses the Porto trip through illness. The 21-year-old has not featured for the Reds since fracturing his leg in the 3-1 win over Burnley in December, but played just over an hour for the U23s on Sunday. That 6-0 thrashing of Leicester saw Gomez surprisingly start at right-back, with Ki-Jana Hoever partnering George Johnston at centre-back, prompting speculation this could be his role for the remainder of the season. Klopp has effectively confirmed this as he spoke ahead of Liverpool’s flight to Porto on Tuesday, speaking to the club’s official website. “Absolutely [he looks strong]. Ox and Joe both did really well at Leicester,” he explained. “It was a brilliant game by all of the boys, to be honest, I watched it back. It looked really good. “It’s clear they still need time to get full match fitness but it’s nice to have them back and now Joe first as an option. “He played right full-back, we need him as this option as well. Given Trent Alexander-Arnold has played the seventh-most minutes of any Liverpool outfield player this season, and the schedule could be further congested by progress to the semi-finals, the No. 66 could require a rest. Prior to Gomez’s return, Klopp’s go-to option as Alexander-Arnold’s alternative was James Milner, but now Gomez can be expected to slot in whenever needed. This could begin with a substitute appearance at the Estadio do Dragao, but he will also be considered cover at centre-back, with Klopp detailing his decision to leave Lovren on Merseyside. “Dejan is ill. He had a bad night, the doc was there and he had no chance to travel. That is the reason for that,” he said. 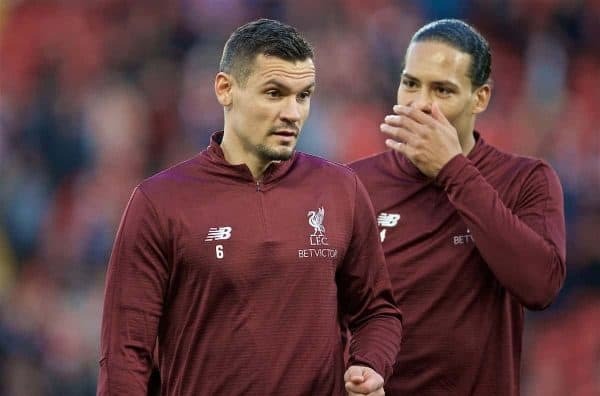 While illness is largely unavoidable, the fact remains that Lovren has been hugely unreliable this season, making just 16 appearances, of which three came as a sub.